While I was in high school, golfing was a sport that I really wanted to try out. It wasn’t until I started college that I tried it for the first time. As soon as I started playing, I fell in love with the sport. Much like any sport, it took patience and time to get better, but I enjoyed every single moment being out on the course. Golf has become one of my favorite hobbies, and I want to share the many benefits of the sport! Many people have the generalization that golf is just for older people. Golf is actually becoming a sport that the younger generations are starting to gravitate towards. It is always a great idea to try new things, and golf may be your next favorite hobby! A great characteristic of golf is that you can play it by yourself, or with a group of people. For those who like to play by themselves, it can be an effective meditation mechanism. When golfing, you can see amazing views, hear birds chirping, and experience peace and quiet . Golf is a sport that doesn’t require vigorous effort, which can be helpful for those who want to use the sport as a place to meditate. 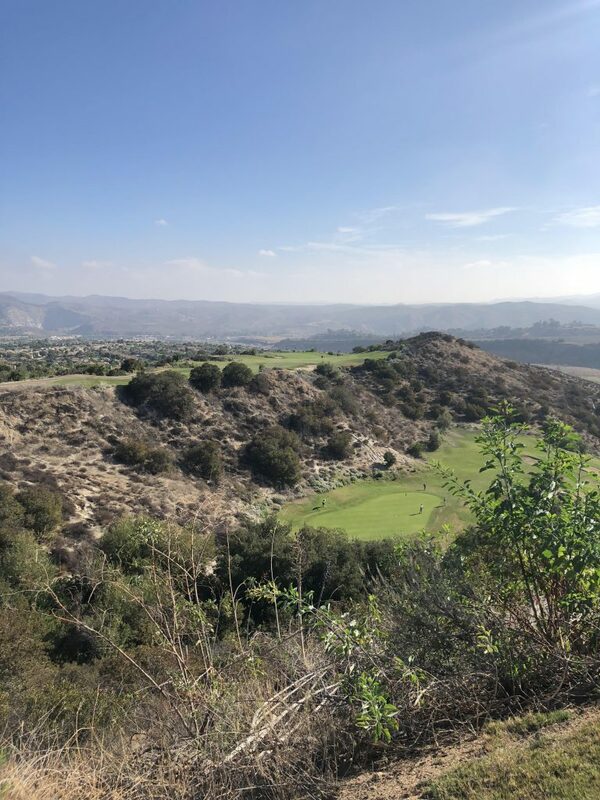 As a resident of Southern California, I often get the opportunity to golf at beautiful courses that display large ecological variation. 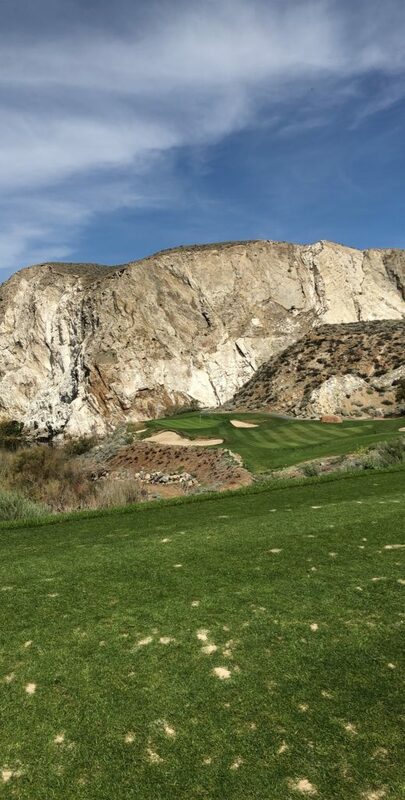 I can golf in desert cities that present scenic landscapes or even in our mountains that also provide amazing views and animals. I recently played at Eagle Glen in Corona, California where I saw many deer running around the course. Golf courses throughout the country have many scenic opportunities and provide a means to enjoy the outdoors. I like to use golf as an outlet to relieve any stress and anxiety that I may be feeling. While in college, I was often stressed and I would use time on the weekends to head out to the course. When I would go golfing, I felt that I was able to put all of my worries on the back burner; even if it was only for a few hours. I still use golf as a coping mechanism for stress. Most sports get much harder to play as you age. If you watch baseball, football, or basketball on television, you may notice that there are no players older than 45 years old. Golf on the other hand, can be played well into your later years. This is important, considering it allows older individuals to still enjoy the thrill of sports even as they age. The sport allows those who play to live a life full of exercise. Driving in a golf cart and walking are the two modes of transportation used while golfing. A golf course typically is about 4 miles long in total. For those who walk, they are getting a tremendous amount of exercise. For those who choose to ride in the cart, there is still exercise being done as the golfer has to walk to their ball from the cart, and still take their swing. My body is often sore after I finish a round of golf. Golf can also be a social sport. Many professional companies throughout the world use golf as a way to meet potential clients conduct interviews, and much more. I love when I am able to get a large group of friends together and go play golf together. The game provides each participant with a great sense of camaraderie. Golf has become one of my favorite hobbies, and it is my hope that it can be something that you pick up as well. Not many hobbies give its participants both physical and mental health benefits, but golf is one of them!